As a realtor, Nicola’s days are filled with the singular purpose of protecting her clients’ interests – including finding rewarding opportunities for her Buyers and Sellers. It’s a commitment she has dedicated her career to fulfilling – learning, exploring and researching to provide clients with the information they need to make the best possible decisions. As a second-generation real estate professional, born and raised in Vancouver, you could say it’s in her DNA. But Nicola has done more than establish a thriving real estate practice for herself. An entrepreneur, someone that sees opportunity where others see risk, she has instituted her knowledge, process and systems in the name of the MINT Home Team. A dynamic group of real estate professionals, they understand the power of knowledge, the value of teamwork, the importance of relationships, and what’s required to deliver an exceptional client experience. Strategic, meticulously prepared, an exceptional negotiator and knowledgeable are just a few of the words clients use to describe Nicola. Nicola’s expertise extends to pre-construction, new home and multifamily construction, land acquisition, and new home builds. To find the perfect home or investment property, you need every advantage that a Realtor who is always one step ahead can deliver. A professional that does not compromise quality, Nicola’s production has earned her a spot in the top 10% of Vancouver Realtors and among the top 3% for RE/MAX worldwide. Nicola Campbell combines a natural flair for marketing with a perfectionist’s desire to really understand and excel at her profession. She has a keen eye for detail and is a fierce but respectful negotiator. 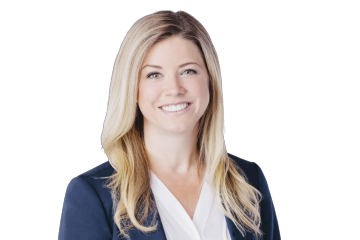 Nicola specializes in real estate in Downtown and Vancouver Westside/Eastside and has an encyclopedic memory for the minutes and construction details of almost every major building in the city. She is passionate about her craft and her unmatched level of energy and enthusiasm keep the real estate buyer motivated especially during times when the search for a property can become disheartening.